Alfred Warsavsky is a Senior Partner in the accounting and litigation services firm of White, Zuckerman, Warsavsky, Luna & Hunt, LLP. 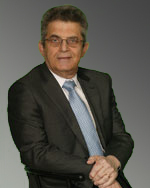 He has served as an expert witness in business and family law litigation matters since 1983. Mr. Warsavsky analyzes financial, economic, accounting, valuation and tax aspects of business and personal litigation associated with antitrust, breach of contract, business interruption, commercial transactions, professional malpractice, unfair competition, wrongful discharge, product liability, embezzlement, criminal fraud, real estate valuations, reorganization, bankruptcy and marital dissolution. He has testified on numerous occasions in the California Superior Court in connection with marital dissolution proceedings and fraud and embezzlement actions. Prior to joining White, Zuckerman, Warsavsky, Luna & Hunt, LLP, Mr. Warsavsky was a Partner in Stein, Cohen, Karp & Zuckerman, specializing in litigation support services. Prior thereto, he was a supervisor for Deloitte, Haskins & Sells, where he was responsible for the supervision of audits and the preparation of financial statements. Previously, Mr. Warsavsky was involved in national defense, serving as a senior systems analyst on various security- sensitive projects at TRW. Mr. Warsavsky obtained his Bachelor of Science and Master of Science degrees from the University of California, Los Angeles. He is on the staff at Golden Gate University and taught a class entitled, “Legal, Tax and Valuation Aspects of Dissolution of Marriage.” In the fall of 2005 Mr. Warsavsky taught a class at CSUN to senior students in business valuation. Mr. Warsavsky is a contributing author and editor of Valuing Assets in Marital Dissolution, the 1991 handbook presented jointly by CEB and the State Bar Family Law Section. He has co-authored articles for the Beverly Hills Bar Association, San Fernando Valley Bar Bulletin, L.A. Daily Journal and the L.A. Lawyer. He has addressed audiences on the subject of litigation support on countless occasions in connection with continuing education seminars for attorneys and Certified Public Accountants. Mr. Warsavsky is a Certified Public Accountant, licensed since October 1981. He is a member of the American Institute of Certified Public Accountants and the California Society of Certified Public Accountants. He holds the AICPA’s ABV designation (Accredited in Business Valuation), as well as, a CFF designation (Certified in Financial Forensics). He is also a member of the National Association of Certified Valuation Analysts, a national society of Certified Public Accountants specializing in the fields of litigation support and valuation analysis. He has been involved in presenting subjects of interest to various family law study groups. He has passed all four exams in business valuation toward his accreditation to becoming an Accredited Senior Appraiser of the American Society of Appraisers.